Enter your email address to start receiving our news and immediately receive a FREE Quilt Pattern. See Some of our Archived Emails HERE! Take a LOOK at our Updated Shipping Calculations! We STRIVE to give you the BEST in the Quilting World each, and everyday at our Brick Location in Brunswick, Missouri and on our Web Store at www.sewsweetquiltshop.com. 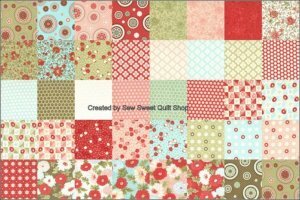 We OFFER you the best in SALE products on Patterns, Books and FABRIC and have a constant rotation of these items for you, at www.sewsweetquiltshop.com. We OFFER you FREE shipping incentives and the BEST in CREATIVE wrapping of our Internet Orders that are delivered right to your door. We OFFER many email incentives through coupons and CREATIVE inspiration. We OFFER you the BEST in US and STRIVE to show you each, and everyday! WELCOME to Sew Sweet Quilt Shop! We had a great sewing day! Good food and good company. Got lots done. 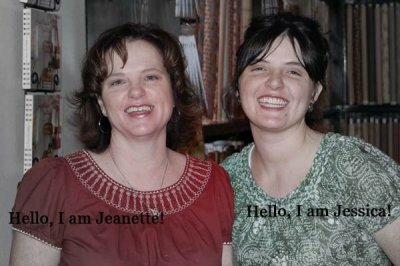 Thanks Jessica and Jeanette. Barbara Dearing. We will send your fabric within 24 hours of the time you place your order (if your order is placed between Monday and Saturday)... We sometimes will run out of fabric at our Brick Store location before we can update our Web Store... (this happens rarely). In order to get your fabric to you quickly we will send what we have in stock. If you would like us to contact you with the fabric we no longer have (this happens rarely) PLEASE let us know on the comment area of your order, otherwise, we will send your fabric ASAP after you place your order. You will only be charged for what we send you. Have a GREAT day and Thank YOU for Shopping with us at Sew Sweet Quilt Shop.